Central Washington University’s Observer and PULSE have been selected as winners and finalists in multiple categories in the Society of Professional Journalists Region 10 Mark of Excellence Awards. PULSE, Central’s twice-quarterly student-run lifestyle magazine, won first place in the Best Affiliated Website category. The award-winning website includes PULSE students’ multimedia content spanning podcasts, videos, photo galleries, a virtual reality experience, audio clips from interviews and more to accompany their print magazine stories. “This award is a first for PULSE and recognizes the student staff's push to provide an attractive and user-friendly online point of entry for audiences to discover the magazine and additional exclusive content,” said PULSE faculty advisor Jennifer Green. Senior Jack Lambert and recent grad McKenzie Lakey were awarded first place in the Feature Photography (Large Schools) category for Observer photos from CWU’s Martin Luther King, Jr. Week Celebration. Lambert was also awarded first place in the Breaking News Photography (Large Schools) category for an Observer photo from the Fall 2017 Peace March. The Observer was also a finalist in two categories. Recent grad Daisy Perez was a finalist in the General News Reporting (Large Schools) category for a story she wrote last spring about Deferred Action for Childhood Arrivals, DACA. 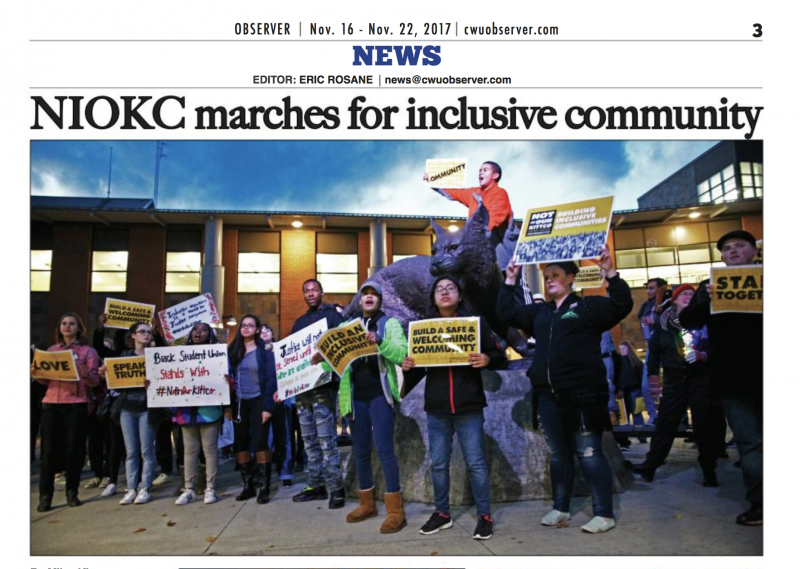 While the newspaper was recognized as a finalist for Best All-Around Non-Daily Newspaper—the competition’s largest All-Around category, which included schools of all sizes. The Society of Professional Journalism (SPJ) recognizes the best collegiate journalism in each region with Mark of Excellence Awards. Central’s first-place winners will compete at the national level among other regional winners from the 12 SPJ regions. "I couldn't be more pleased and proud of our talented student journalists on The Observer and PULSE," said professor Cynthia Mitchell, who advises The Observer and runs the Digital Journalism program. Senior Sarah Hoot, was editor-in-chief last fall, which included two of the four entries for Best All-Around. "We all worked extremely hard on these papers and I am glad I got to be a part of the process," said Hoot. "All of the Observer's staff puts their hearts and souls into the papers they make." Photo winner McKenzie Lakey, who was The Observer editor-in-chief in Fall 2016 and Winter 2017 said: “I think our results throughout the communication department year after year truly speaks to the quality of Central Washington University's student media and their drive to produce excellent journalists." 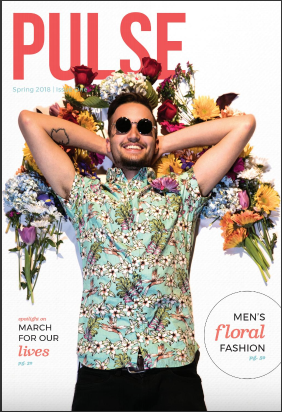 PULSE magazine and The Observer newspaper are student-written and student-run publications produced through Central Washington University’s communication department. Both outlets have earned numerous awards in the past several years in regional and national contests. A complete list of winners and finalists is at https://www.spj.org/news.asp?REF=1567.